It started when James Tumblin, saw a dress from “Gone with the Wind” lying on the floor at Universal Studios in 1962. 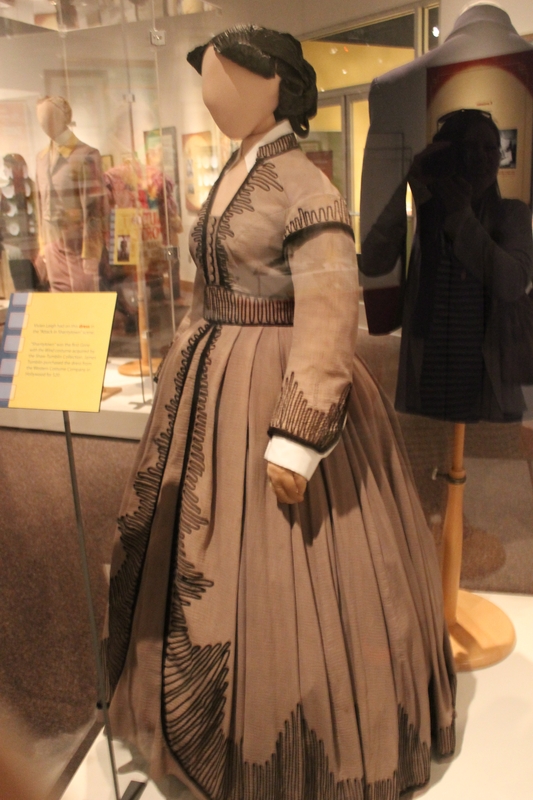 It was the dress Scarlett O’Hara wore while riding through the shanty town in the 1939 film. Tumblin asked why the dress was on the floor and was told the dress was going to be thrown away. 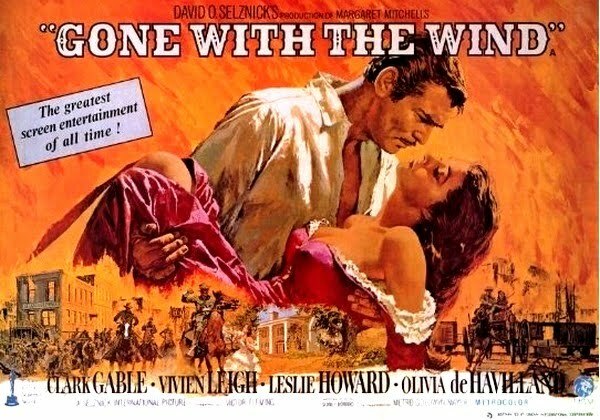 Now, Tumblin owns the largest “Gone with the Wind” collection in the world. He owns at least 300,000 pieces of film memorabilia. 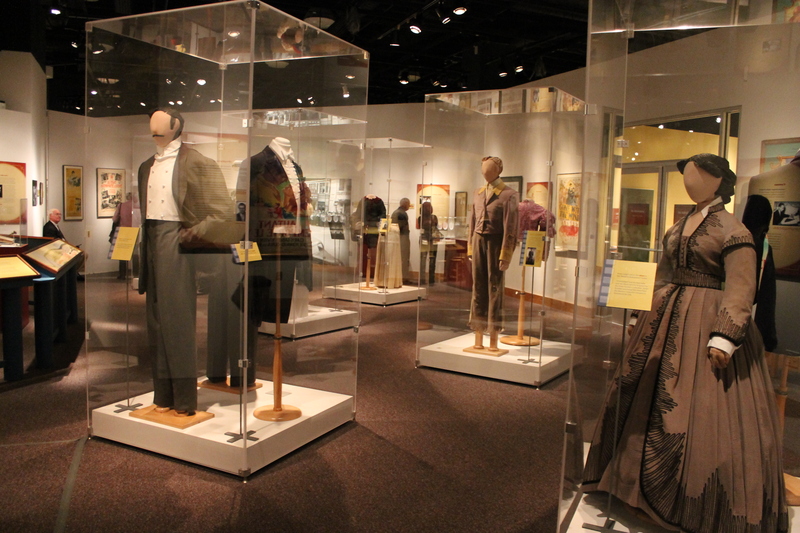 Part of his collection has been displayed in the North Carolina Museum of History in Raleigh in the Real to Reel: The Making of Gone with the Wind exhibit. The exhibit started in Aug. 2012 and was originally supposed to end in January. It has been so successful, it was extended until April 14. Tumblin’s collection is stored at his home in Oregon. 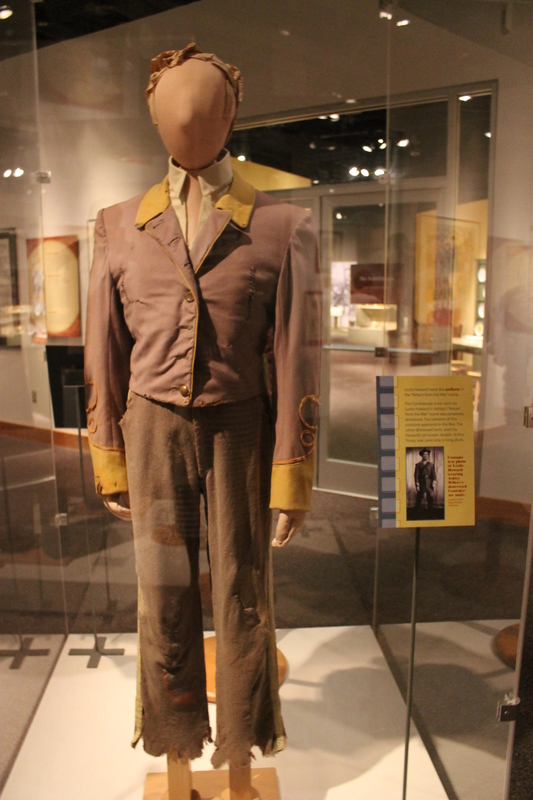 The latest item he bought was a coat worn by a Munchkin in “The Wizard of Oz” (1939). 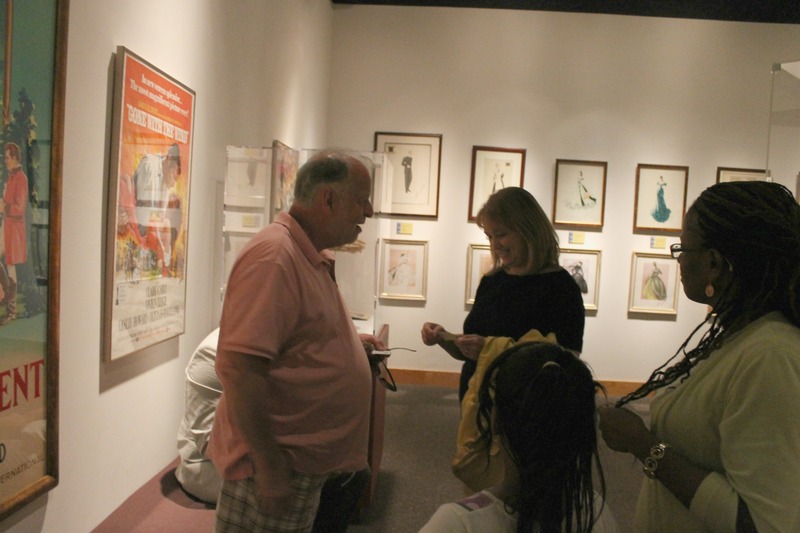 I traveled from Shelby, N.C. with my parents to see the exhibit on Saturday, April 6. 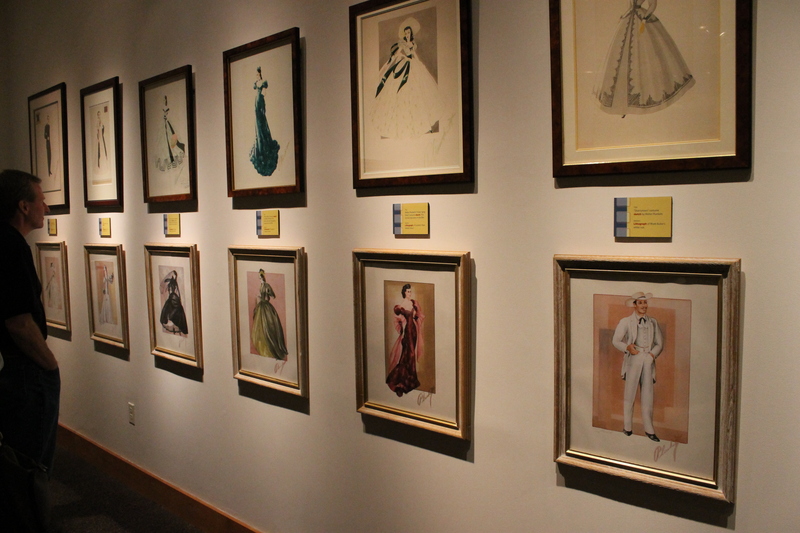 The exhibit included costumes worn by Viven Leigh as Scarlett O’Hara, Clark Gable as Rhett Butler, Olivia de Havilland as Melanie Wilkes, Leslie Howard as Ashley Wilkes, Ona Munson as Belle Watling and Cammie King as Bonnie Blue Butler. 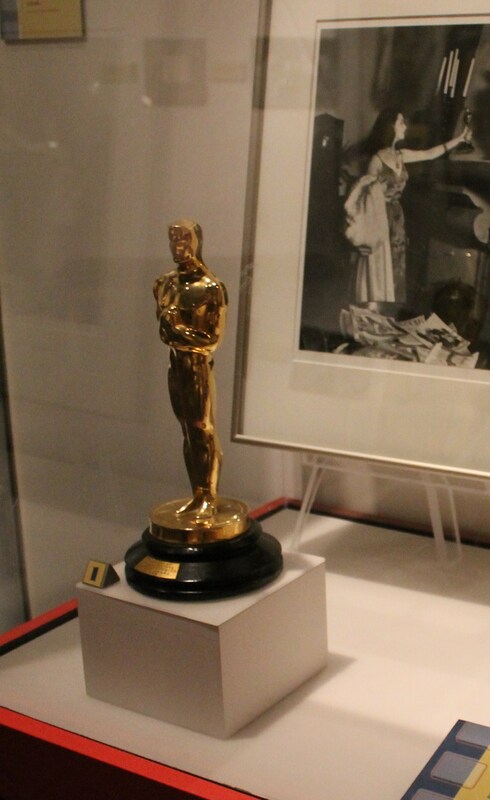 It also had the script used by Hattie McDaniel who played Mammy, furniture used in the film and Vivien Leigh’s Academy Award for Best Actress as Scarlett O’Hara. While walking in, one of the museum workers told us Tumblin, the owner of the exhibit, was inside. I kicked myself for not bringing along a reporter’s notebook and scrambled to find paper in the museum so I could interview Tumblin. I settled for the back of several museum volunteer fliers. Tumblin was sitting on a bench with his 27-year-old son Josh when I introduced myself as a reporter for the Shelby Star. The two scooted down and let me sit with them for about a 45 minute interview. “Are you going to click your heels three times and go back to Kansas?” he joked, glancing down at my bright orange flats. Born in Denver, Colorado, Tumblin began working at Universal Studios in the late-1950s and retired in 1982. 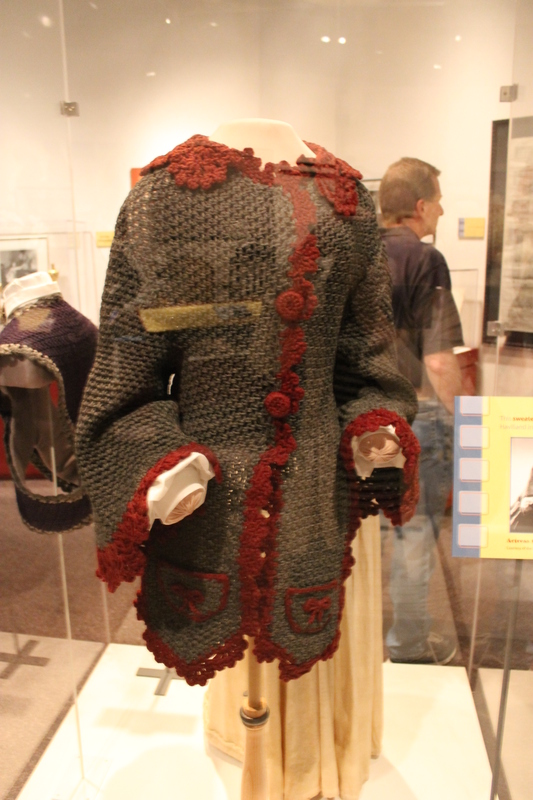 A muff and coat worn by Ona Munson as Belle Watling. 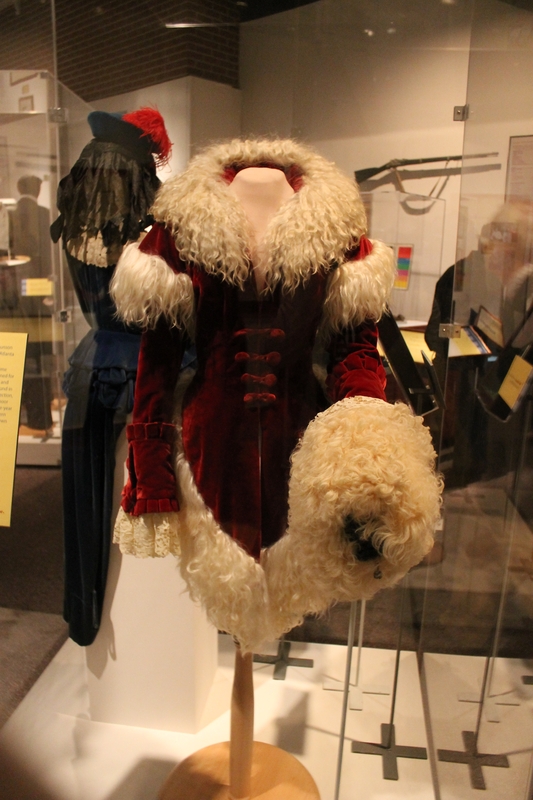 This was costume designer Walter Plunket’s favorite muff and coat. It took three years to restore it when it was found. Every night, he would stay and comb the wigs. One day his boss, Larry Germain, asked him if he had been combing the wigs. He got along with many of the stars and it was a happy time. The only downside was when he found a favorite actor to be unpleasant. Claudette Colbert, Bette Davis, Marilyn Monroe, Greta Garbo and Mae West are just a few people he worked with. Katharine Hepburn was another close friend who Tumblin frequently had as a house guest after he retired. “She loved to drive my truck and always lectured me about my posture,” he said. Another friend was Doris Day. He had an ongoing joke with Day where he threw her into a swimming pool. The dissolve of the studio system didn’t affect the costume department, but Tumblin didn’t like the situation. I even found that Tumblin and I share the same favorite classic film: “Since You Went Away” (1944). 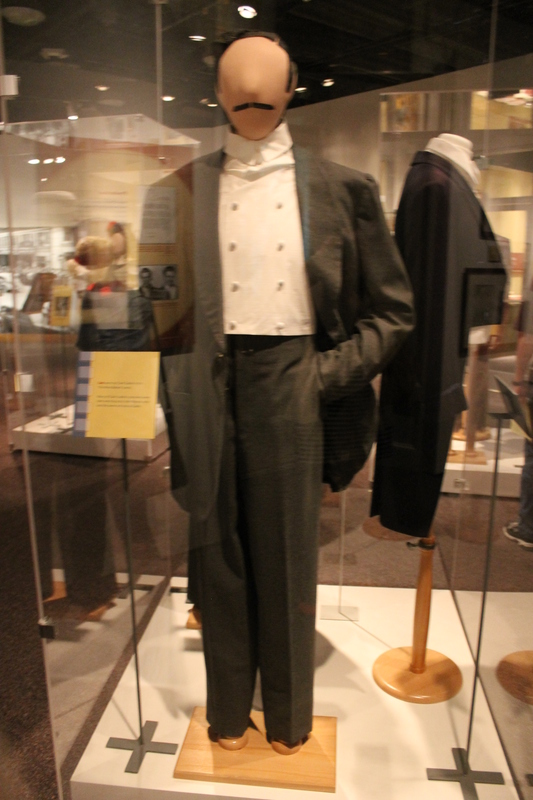 A suit worn by Clark Gable as Rhett Butler. 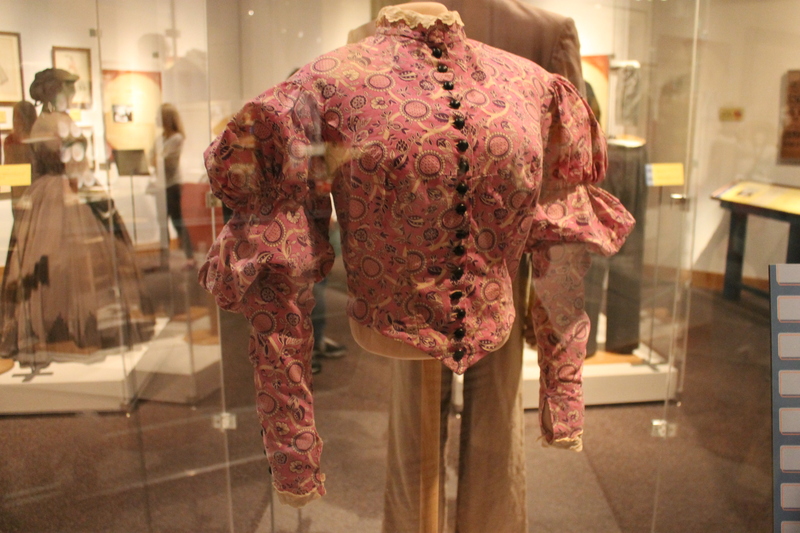 It was later worn by John Wayne, who at one point was the same size as Gable. This entry was posted in Classics in the Carolinas, Travels, Events & Museums and tagged Ashley Wilkes, Bonnie Blue Butler, Cammie King, Clark Gable, Gone with the Wind, Hattie McDaniel, James Tumblin, Leslie Howard, Margaret Mitchell, Melanie Wilkes, North Carolina, North Carolina Museum of History, Olivia de Havilland, Raleigh, Rhett Butler, Scarlett O'Hara, Vivien Leigh by Jnpickens. Bookmark the permalink. Impressive. I would love to see this some day. 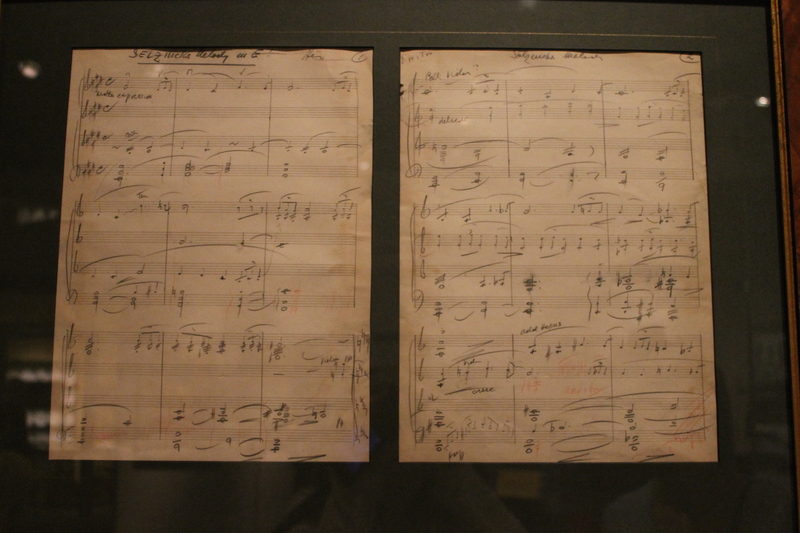 I especially enjoyed the picture of the sheet music. I used to play the theme song on the piano all the time. Now, never go anywhere without paper! It was really great! They are going to be at the Albemarle Museum in May! This is a fantastic article! What an awesome experience! I want to go Raleigh and see this place. Thank you, Christina 🙂 And thank you for reading! I think you would have loved it! It ends this weekend but they will be in Ablemarle in May! Wow, Jessica. This is amazing! I wish I could have gone with you. You know GWTW is my favorite movie. I loved reading about Tumblin’s stories. Jason will be jealous that he worked on the Lawrence of Arabia set (that’s his favorite movie). You would have loved it! You should try to catch it in Ablemarle! Lordy my, Miss Jessica! What a fantastic collection of photos! Thanks for sharing all this with those of us unable to get to the museum in person. Why I declare, Mr. Turnbull, I’m sure glad you enjoyed it! Maybe a museum near you will schedule him. Fingers crossed. Given the huge attendance that Debbie Reynolds auction exhibits got, I know there’s a market for it! Wow, this exhibit looks amazing! And Tumblin sounds like quite an interesting person. Thanks for sharing your experience! You would love it! He had several cool stories, but was very friendly too! Thank you so much for sharing this. What a collection! Isn’t it amazing?! Thanks for reading! Thank you for dropping by and reading; I’m very flattered! I had alot of fun talking with you and appreciate your openness on your career. I enjoyed the exhibit so much, I may have to make my way to Elizabeth City! I’d love to do a follow up interview sometime. Thank you so much for talking with me! Can you inform me of any exhibits for 2014? My goodness, “Mr. Tumblin” sounds so distant and formal…please, won’t you, just call me “Jim”? At present, we are scheduled to open a new exhibit at the Orange County Regional History Center in Orlando, Florida opening August 16, 2014 and running through December 1, 2014. Hello, I had heard that the exhibit may come to CA/Los Angeles in early 2014. Is this true? Will you be there at the exhibit? I am trying to book a flight there in Orlando just to see the exhibit. It would be an honor to meet you. I am trying for September 6th-7th, 13th-14th or 20th-21st. I can’t believe it is 75 years! I will be there later today and hope to meet you! Coming down from Pennsylvania just to see your collection. Can’t wait. The costume designs by Walter Plunkett look amazing. 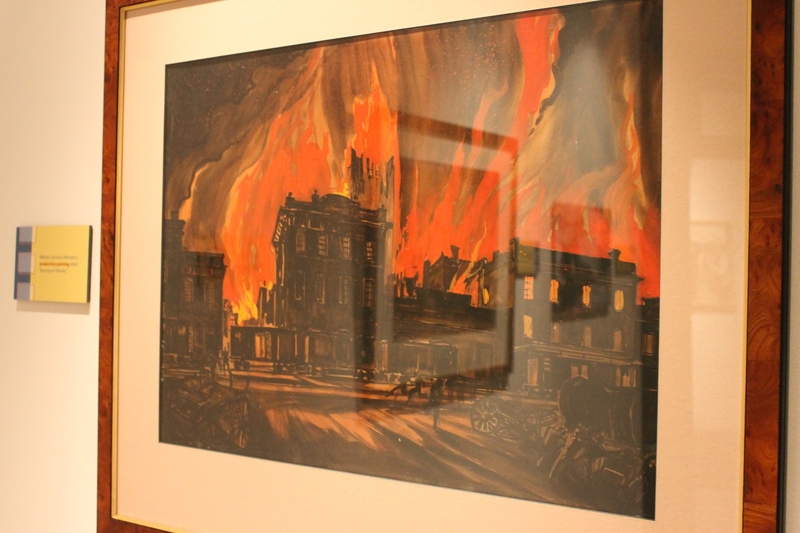 Thank you for your kind words and encouragement regarding our Gone With The Wind Exhibit. 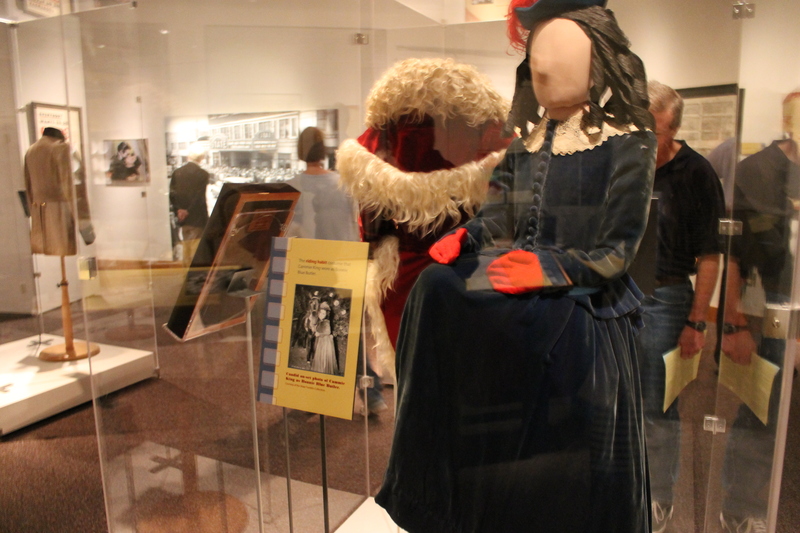 Very shortly, we shall be opening yet another GWTW Exhibit at the Orange County Regional History Center in Orlando, Florida. This exhibit is scheduled to open August 16, 2014. We also have future exhibits contracted well into 2016!. 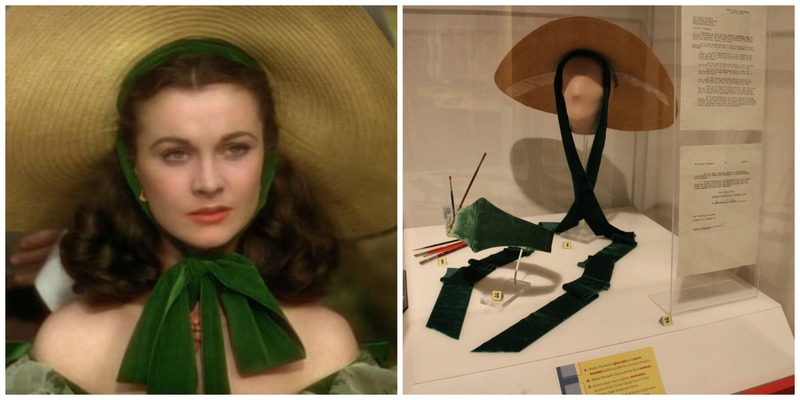 In addition to Gone With The Wind, I also have costumes from many other classic films…including a pair of Dorothy’s Ruby Red Slippers that will soon be on display! Thanks, again, for your kind words. You are welcome. I wish you all the luck in the world with your displays and those ‘red slippers’ you speak of will sure bring in the crowds i am sure. Maybe one day if i am lucky enough to visit the U.S; i am also see these in person. You are too kind. If you’d care to email me at: jamestumblin@yahoo.com I’ll email you an image of my son and I holding the slippers. Does anyone know where this gwtw collection is in 2015? Can anyone tell me how best to get in touch with James? I have several pieces he may want to add to his collection. Thank you. Thank you. Saw this email right after my inquiry – hopefully still valid.